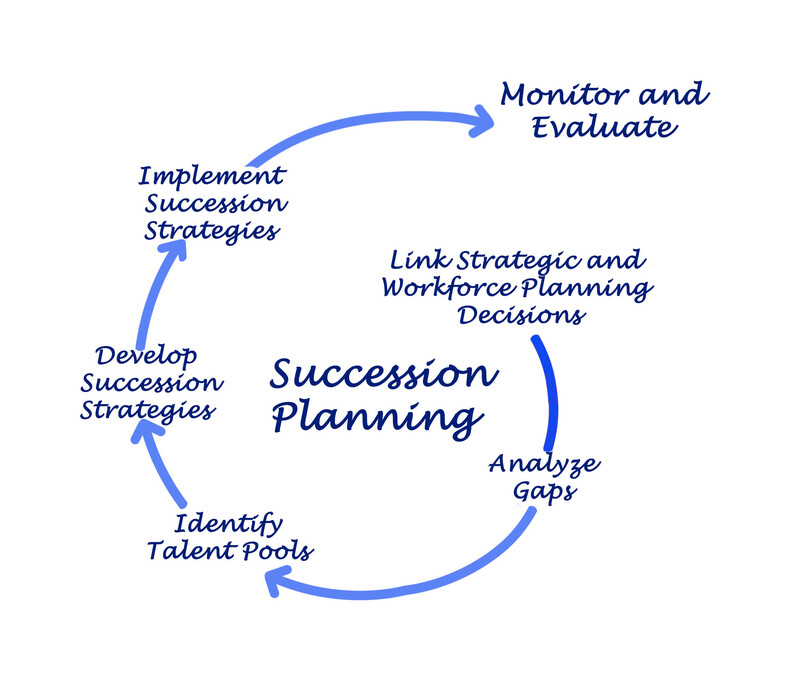 Most organizations do Leadership Succession Planning at some level of effectiveness. 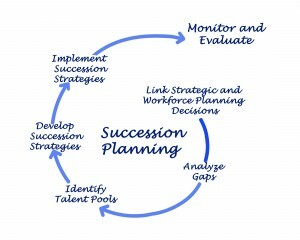 Very little has been written about the need for incorporating technology succession planning and while technology leadership is part of the standard succession planning model, little is done about succession planning and skills development for subject matter experts, their supporting teams and successive upgrades and new technologies. Teams are formed for the design and implementation of new technologies and then disbanded after implementation, leaving the new technology understaffed. As time goes on, and resources are moved to other priorities resulting in few people who understand how to support the technology platform for the balance of its lifecycle. What is Technology Succession Planning and why is it needed? The rate of change of technology is significantly outpacing the ability of organizations to cope with the requirements to change organizational structures, skills maps, workflows, policies and procedures. Most organizations do not have a team of people who are responsible for creating a plan that allows the organization to leverage this rate of change. As a result, businesses have a difficult time fully leveraging their technology investments and, in some cases, sustaining and scaling their technologies. They don’t adapt in a timely fashion to the exponential improvements that technology offers to them. Technology Succession Planning is the process where organizations look at their current and future technology infrastructure and deliberately plan for developing the appropriate resources that will scale, maintain and upgrade it. The need for Technology Succession Planning is not simply defined as developing and maintaining subject matter experts because the technology lifecycle model requires a more holistic approach to the issues as shown below. 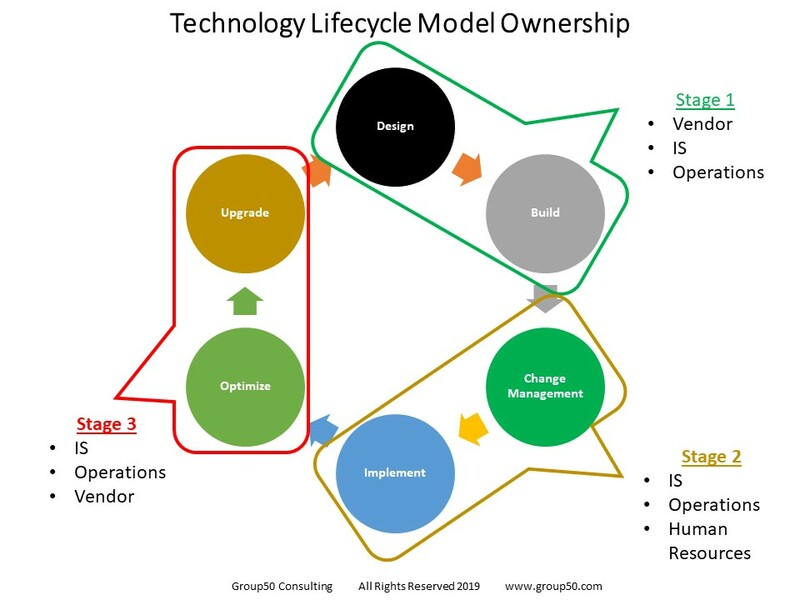 This model requires a business to look at the entire lifecycle of a technology platform and plan for the succession of resources and the technology. They need to understand the platforms that are no longer needed and the requirements of the next generation of systems and technology. Technology Succession Planning can be viewed in three stages. Stage 1, the Design/Build Stage is surrounded by enthusiasm and great expectations. It requires that IS, Operations and the vendor work closely to develop the appropriate performance requirements and implementation roadmaps. It also requires that the Design/Build program address strategic and operating gaps in the business. In our work with middle market companies we have found that their enterprise technology platforms are a patchwork quilt of bolt on systems and modules that don’t work well with each other. This is an operating gap that makes Stage 1 more challenging. Stage 2, the Change Management and Implementation stage adds Human Resources to the mix to assure an appropriate change management plan is created in concert with the implementation. It is also important that the appropriate KPI’s be created and monitored to assure the business that the technology is performing to expectations. Many of our clients struggle with Stage 2 because it requires that the implementation include organizational design changes, skills development and process reengineering. Improper implementation or short changing this process will cause the business to have a significantly reduced ROI on their technology investment. In several instances we have encountered, the business modifies the technology to adapt it to existing work flows instead of taking advantage of the true power of the technology. In those cases, the modifications to the technology platform makes it difficult to upgrade, creates maintenance issues and is often not scalable. Stage 3, Optimization/Upgrade can be the most challenging. The euphoria of a new system has worn off, members of the implementation team have moved on to other projects and there is much less attention to the short comings of the implementation. Because of this, they are confronted with the difficult challenge of losing go-to subject matter experts on a specific technology, module or platform. We have encountered many instances where we had to go to the vendor to get answers to simple operational issues and rely on them (at a very high cost) to resolve these issues. We recommend that our clients do an audit six months after implementation to understand lessons learned. Given the high rate of change in technology, we recommend that the vendor be involved in this audit because they have been improving their technology as well and can bring new ideas on the utilization of their technology. In this audit, we look at what worked well and what needs to be improved. In most cases, there are productivity and performance improvements that can be implemented to further improve ROI. The audit will identify the requirements for optimizing the implementation and define the make-up of the go forward support teams in the business. In larger companies, we recommend that they create a skills matrix that is on a shared drive for the purpose of allowing internal resources to be easily able to find subject matter experts for various technology platforms and applications. Identify the people in the organization who are responsible for the entire lifecycle of the technology and include them in the succession planning process. About Group50: Group50 is a full service Consulting firm that has a track record of melding people, process, and technology into game changing strategies and tactical advances across a wide range of industries, ranging from start-ups to Fortune 50 companies. Our experience is reflected in a field-tested methodology and framework for establishing Digital Technology in its natural role of a strategic corporate asset and revenue generator. Our perspective from the trenches to the boardroom has instilled in us a respect for, and the ability to fit into a variety of corporate cultures and to understand the intricacies of a transformation.